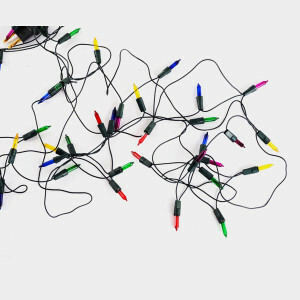 Never throw Christmas lights in the garbage or your curbside recycling: the lightbulb glass breaks easily and the cord gets wrapped around processing machinery. The online store Holiday LEDs will give you a 15 percent off coupon for mailing in your old lights to be recycled. Christmas Light Source will give you 10 percent off a purchase of new lights for mailing yours in, and donate recycling proceeds to the Dallas/Fort Worth Toys for Tots Foundation. Recycle with Polygroup’s Christmas Recycling Program. Ship them your old Christmas lights, extension cords and artificial trees, and they will upcycle them into products like bubble wrap and plastic bags. LED Christmas lights use 80 percent less energy and can last up to 20 years. If you want to be able to replace individual lights, make sure to choose strings with removable bulbs.